A star-studded benefit for those affected by Hurricane Harvey is coming to a network near you. "Hand In Hand: A Benefit for Hurricane Harvey Relief" will air live from Los Angeles, New York and Nashville on September 12. Viewers will be able to watch the telethon on NBC, CBS, ABC, CMT and Fox. It will also be available for viewing on Facebook, Twitter and YouTube. The event will feature appearances by Beyoncé, Barbra Streisand, George Clooney, Oprah Winfrey, Blake Shelton, and Reese Witherspoon. 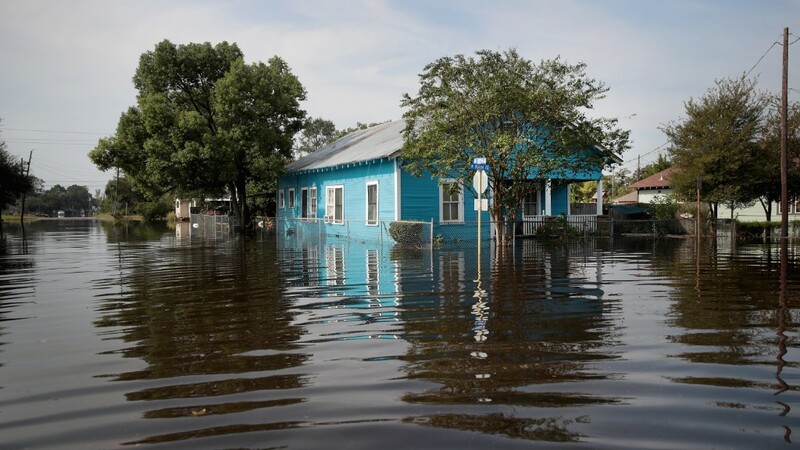 The Gulf Coast experienced epic flooding resulting from the hurricane, which made landfall last week and left 53 people dead and hundreds of millions of dollars in damage. Many celebs have already stepped up with donations, including Sandra Bullock who gave $1 million to the American Red Cross. Funding from the planned benefit will go to air the United Way, Habitat for Humanity, Save the Children, Feeding Texas, and Direct Relief. The telethon will air live on the East Coast beginning at 8 p.m. and replay on the West Coast at 8 p.m.